Comedy Central announces it has ordered Detroiters to series. 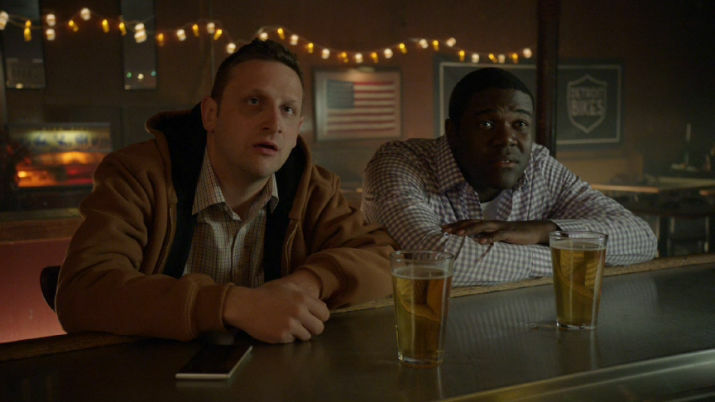 The 10-episode weekly, scripted comedy Detroiters is executive produced, created and written by Sam Richardson, Tim Robinson, Joe Kelly and Zach Kanin, and executive produced by Broadway Video and Jason Sudeikis. As to the premise, Detroit natives Richardson and Robinson star as ad men who want to return their city to “the glittering jewel of the Midwest that it once was.” Sudeikis is set to appear in a limited number of episodes as a successful auto executive and would-be client of Richardson and Robinson. No word on a premiere date. NEW YORK, October 20, 2015 – Comedy Central is heading to the Motor City as the #1 brand in comedy has ordered “Detroiters” to series, it was announced today by Kent Alterman, President, Original Programming, Comedy Central. The 10-episode weekly, scripted series is executive produced, created and written by Sam Richardson, Tim Robinson, Joe Kelly and Zach Kanin and executive produced by Broadway Video and Jason Sudeikis. “The creative team on ‘Detroiters’ is so ridiculously funny, we’re not even sure we deserve them,” said Alterman. Richardson and Robinson, both natives of Detroit, will star as small-time ad men who aspire to help turn their hometown back into the glittering jewel of the Midwest that it once was. In addition to serving as an executive producer, Sudeikis will appear in a limited number of episodes as a successful automotive executive Richardson and Robinson relentlessly pursue in an effort to land their first big-time client. Monika Zielinska, Tara Schuster and Rachel Olson are the Executives in Charge of Production for Comedy Central. Robinson is repped by Odenkirk-Provissiero Ent, CAA and attorney Melissa Fox. Richardson is repped by Principato Young Management and Innovative Artists and his attorney Michael Auerbach at Jackoway Tyerman Wertheimer Austen Mandelbaum Morris & Klein. Sudeikis is repped by Brillstein Entertainment Partners and CAA and Broadway Video is repped by CAA. Available on-air, online and on-the-go via the Comedy Central App, Comedy Central (www.cc.com) is the #1 brand in comedy and is owned by, and is a registered trademark of, Comedy Partners, a wholly-owned unit of Viacom Inc. (NASDAQ: VIA and VIAB). For up-to-the-minute and archival press information and photographs visit Comedy Central’s press Web site at press.cc.com and follow us on Twitter @ComedyCentralPR for the latest in breaking news updates, behind-the-scenes information and photos. What do you think? Do you like the sound of Detroiters? Will you check it out?